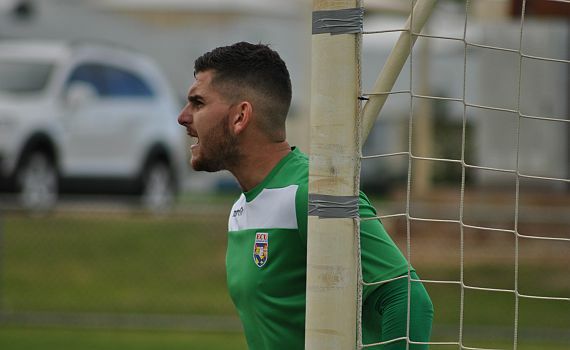 ECU Joondalup Reserves head into the Cool Ridge Reserves Cup Final knowing they have the safe hands of keeper Todd Hoyle behind them. The under 20’s keeper has been in stellar form between the sticks and his penalty save in the Semi-Final was crucial. He said the wins against Perth Glory and Stirling Lions gives them confidence heading into the game. “It was really good to have the good games in the cup, and it builds confidence within myself and I was fortunate to save a penalty that helped us go through to the final,” he said. The keeper has enjoyed working with ECU keeper Coach, and former Charlton Athletic custodian Andy Petterson, and training with first team keeper Lewis Italiano, and he believes his keeping has improved. “Training with the pair of them has helped me immensely this season,” Hoyle said. “I’ve known Petters for a few years now he always tries to get the best out of me, and obviously with the experience and knowledge he has about goalkeeping he has defiantly taught me a lot. Hoyle said they drew last time they played Bayswater and he said Saturday, with so much on the line, will be more of the same. “We played them earlier on in the year and it was a pretty even game, but we all know Bayswater are no push over and shows on where they sit on the table,” he said.